This is top secret and the most anticipating and life-threatening blogging assignment I’ve ever accepted in my whole life. A rare opportunity to be ‘kidnapped’ and held ‘hostage’ at the live set of the Sunsilk Academy at an unknown and mysterious place in Singapore. Nobody knows where we were kept hostage because we had our mobile phone confiscated and the 5 other media representatives, including myself, were blindfolded. We were also not allowed to shoot or take photos while we were in the Academy. It was nothing terrifying or dangerous. Instead, it was fun and exciting to be invited by Starhub to visit the Academy where the 14 contestants will dwell in for the next 3 months or so. There will be an 18-hour camera surveilance around the house where every move and action of the 14 contestants will be filmed and broadcast live on TV. In this exclusive media tour, all nooks and crannies of the set, the number of hidden cameras and the challenges of building the set, were revealed to us.And I’m glad to be part of the media team to bring you readers on a tour around this modern and beautiful home for the Sunsilk Academy Fantasia’s contestants. We were told to meet at Bradell MRT and from there, a mini bus with windows curtains all drawn came to pick us up and drove us off to the mysterious venue. Once we were on the bus, all of us were blindfolded and everyone turned silent. I was feeling a little nauseous as the bus ride to the Academy was jerky but my heart was beating fast with excitement. After 15 minutes or so, we reached the mysterious site and we alighted the bus to breathe in some fresh air. We were delighted to be greeted by the TV producer of Sunsilk Academy Fantasia, Karen Seah, who is also the Chief Executive Officer of Refinery Media. She gave us a tour around the Academy and before we begin the tour, we had to snug out feet into these comfy bedroom slippers. As this is a sneaky and highly secretive mission, we do not want to leave any footprints behind. Welcome to Sunsilk Academy Fantasia’s Set!!! When I first took a step into the living room, I was intrigued by how modernize and stylish the whole living space looked. The interior colour scheme was white and green. My eyes begin to wander around, looking for any hidden cameras or unique items in the house in particular. But before I reveal where the cameras are hidden, let me share with you what Karen had shared with us while touring the set. The set of the Academy,which sits on 10,000 square feet of land ( about the size of a bungalow), took about four weeks to build the set from scratch, with round-the-clock construction towards the end. As this is nothing like your everyday home, it took the designers about three months to carefully design the whole layout for the contestants to live comfortably and for the camera crew to film smoothly. This is one massive project that engages the help of the Mexicans ( who first start the Academy Fantasia TV programme), special set builders and Kingsmen to design the blue-print. Another 100 crew members were deployed for this production that costs about $500K to build the set. Impressive, isn’t it? One question that come to my mind is, where are all the hidden cameras? Some of the cameras were installed at the corners or crevices of the room, high above on the walls, near to the ceiling. Others were behind the mirrors you see the room. That’s right. Those are not the normal type of reflecting mirrors. They use two-way mirrors which allows the person standing outside to see through but not the person standing inside the house. Which means that the camera crew will be filming and shooting the contestants from the outside without the knowledge of the 14 contestants living in the rooms. There’s going to be alot of drama recorded with 20 surveillance cameras installed in the Academy (except the bathrooms and toilets)to track down the actions and voices of the dwellers. In the living room, there are also a book shelves with chinese books, neck and foot massagers, 2 treadmills and other gym equipment. The wide-screen TV at the sofa set could only be used to play Wii or to watch their performances during the weekly concerts. The 14 contestants will be totally cut off from the world as they will not have any access to the TV network, internet or any other communication channels. No phone calls, no smses. They live in a world of isolation with their peers and teachers in the Academy. It might be tough for them to live in an isolation world so fans of these contestants, give them your ultimate support by coming down for the weekly concerts on Saturdays at St.James or you could send them little gifts of encourage through Starhub! At the Academy, the 14 superstar contestants would need to look photo-ready on camera during their weekly concerts or events thus they would need to be equipped with a make-up room filled with sponsored hair styling and make-up products to glam themselves up. One thing to note is that the mirrors you see in the photo above are also two-way mirror that means the cameramen can film the contestants while they are preping their faces with powder blush! When I was there, the dressing table had a neat display of foundation and eyeshadow by Make Up Forever and some cotton pads. 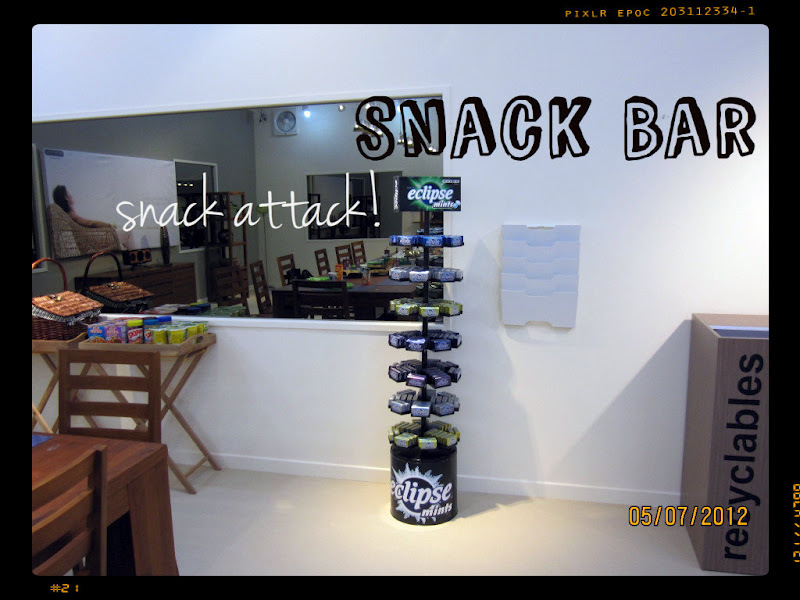 There were also built-in shelves in the wall opposite the mirrors where the different range of Sunsilk products were displayed. Did you seee the black bags arranged in a row on the floor? These are the welcome goodie bags for the contestants which contains some sponsored clothes and toiletries for them! Aren’t they lucky? The male and female contestants live separately into two different dormitory-style bedrooms with bunk beds. The Academy had already allocated their sleeping beds but it’s up to the contestants to decide whether they would like to take the upper bunk or lower bunk or otherwise, they could even choose to swap beds with one another. The bedroom is also equipped with a common bathroom which is to be shared by the 7 big boys. Each of them were also given a small wardrobe to hang their clothes. Do they get to do their own laundry? No! Of course not. They will be treated like stars in the academy. Laundry services are provided right at their doorstep. All they need to focus now is how to groom themselves up to be the next wannabe! The crew tried their best to create a conducive environment for the finalist to live comfortably for a relatively long time but there is going to be some problems. For example, the beds looked pretty small and I wonder if Phil and Kenneth, both about 1.8 metres tall, could actually sleep comfortably on the bed. Besides, the 14 contestants are living in an enclosed place with no natural sunlight except for the times where they could catch some fresh air while they go for their weekly concerts or events. Natural potted plants will placed throughout the Academy to add that touch of greenery to it. But I’m just not too sure if some of the contestants might feel claustrophobic while living in this space. There’s one secret I’m going to disclose which the contestants themselves might not know. That is – each of the bedroom is equipped with an infra-red camera which can capture night footage even when the bedroom lights are switched off! There is also a boom microphones installed in the room and all over the house to capture the slightest sound. The You-know-whos’ are indeed quite cunning right? Can you imagine the stress and tensions as a results of being watched 24/7 daily under the scrutiny of the public? These contestants must have had alot of courage to sign up for this singing contest which puts them under immense pressure. At times like this, there will be occurrences where the contestants wanted to confess or talk about their inner thoughts and emotions which they could do so in the confession room. There will be a camera filming them as they make their confessions. Maybe one of them confess that they miss their loved ones and have been wanting to skype with their family members. Perhaps, one of them fell head over heels with another contestants… and a new love story begins. Things just can’t any juicier than this! Other than the living spaces where they get to rest and relax, the Academy also has it’s very own dance studio and music classroom where the contestants get to jam to the music and dance the night away. Dance and music classes will also be held in these specialised studios. The contestants are free to use these facilities at any point in time for practice or just finding a quiet corner to quieten down their hearts for mediation or yoga. In the music classrooms, there are a couple of guitars, keyboard, microphones and a loud-sound system. I wonder if any of the contestants knew how to play any of the instruments. It would be quite interesting to watch them struttin’ the stuff or jamming away with the guitars or keyboard. Did you see the reflecting mirrors in the picture above? That’s right, these are the two-way mirrors which I’ve mentioned earlier on. There will be 3 camera man running about in the set to shoot the 14 contestants on a 24-hour basis, even while the contestants were asleep. Thus, the TV crew has to be on high alert at all times in order to capture the right and exciting moments as this is a live reality show and the footages has to be immediately broadcast live on TV.The interval between the live shooting and broadcasting, according to the TV producer, is about 20 seconds. The dining room, like Karen herself, is one of the favourite haven in the house where it gathers people together all in one place. Eating merrily together as a family is one of the most joyful thing you can do at home. All 14 of them will dine at this wooden table which was sponsored by Scanteak. (In fact, all furniture displayed in the house is sponsored by Scanteak) Their buffet-style meals are served and carefully prepared by the Academy so that they won’t go hungry. But if they do get hungry between mealtimes, they can easily grab cupnoodles, instant soup sachets, potato chips and other snacks from the kitchen cabinet. If they need an energy booster, they can grab cans of Redbull off the mini fridge. On the kitchen table, there is a set of knife, mini toaster, thermal flask and a fruit juicer for them to prepare a fresh and healthy snack. The next exciting component is the huge fridge that stores cans of coffee, bottles of mineral water and magnum ice-cream. All these food will be constantly replenish. The contestants will eat and live like Kings and Queens here! Wouldn’t you also like to live in this place where you have a freeflow to food such as Eclipse and almost anything you need? One unique trait about this Academy is the incorporation of the ‘green and environmental-friendly’ elements into this Academy. There was green messages painted on the walls and there were recycling bins in the dining room. As much as possible, they are trying to create a modern and environmental-friendly living space for the 14 contestants. After touring the whole set for about an hour or so, Karen invited us to the dining table for some quick snacks(from Pastamania) and drinks while we had a good chat with the rest of the production crew and members of the media about the challenges faced in building the set and the singing contest itself. It was nice to just sit down and talk,eat and drink to experience what is it like to dine there. Yes, we had the privilege to be the first to use the dining table, even before the contestants get to use it! Last but not least, the Principal’s office where the contestants will be invited to the office by the Principal, Lin An Na, to review their performances. The principal will also provided constructive feedback and advice for the contestants to improve themselves and to be constantly aware of their standing throughout the whole competition. Though grades might not be that important as the contestants also need to harbour the X-factor to appeal to the audience and their fans to garner votes and support for themselves. They will become students, once again, where they will have to learn everything from stage chereography to singing to emerge as a polished gem before they step into the entertainment scene. 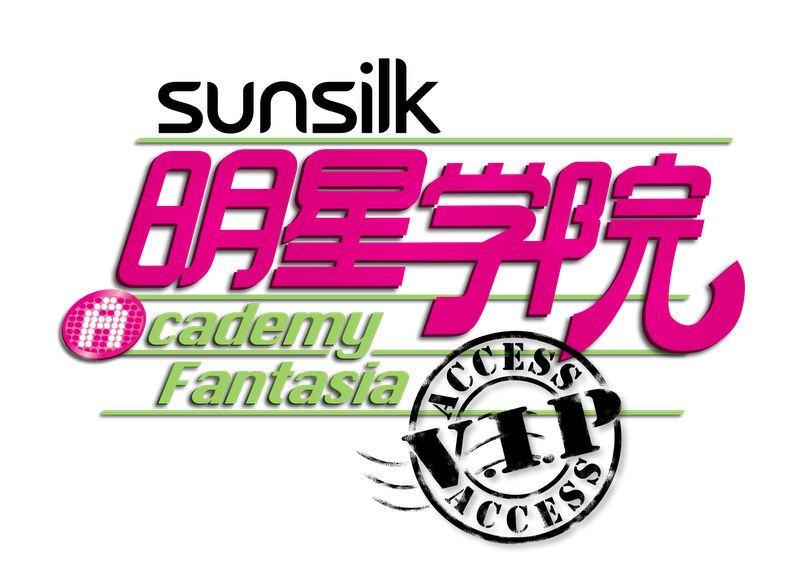 Be sure to catch the first programme in Singapore to merge a singing competition with live reality on on the Academy Fantasia Channel ( Starhub TV Channel 110) or on Starhub TV online by logging on to www.starhubtv.com Starhub Mobile Post-paid customers with compatible handsets can view Academy Fantasia Channel via Starhub TV on Mobile. SMS to 6757 to start viewing. Pre-paid customers can SMS to 6757 to start watching.